Typically, like most SD1s, mine has some electrical issues. One common issue is the failure of dash buttons and switches; thankfully it’s not a hard issue to fix. 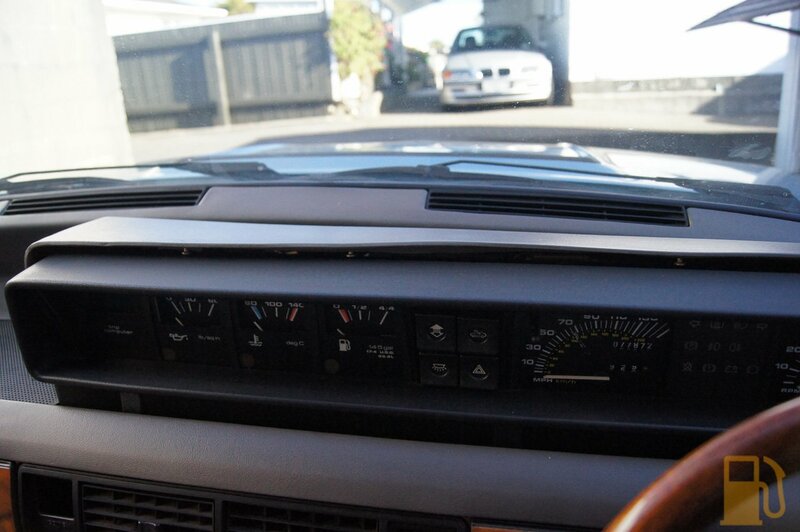 I have noticed two switches that weren’t operating as expected; the sunroof switch, and the rear fog lamp button. The sunroof switch would neither open nor close the sunroof, and there was no clicking from the relays for the sunroof. The fog lamp switch had a simpler failure, it operated electrically, but would not latch when pressed, so the lights wouldn’t stay on. 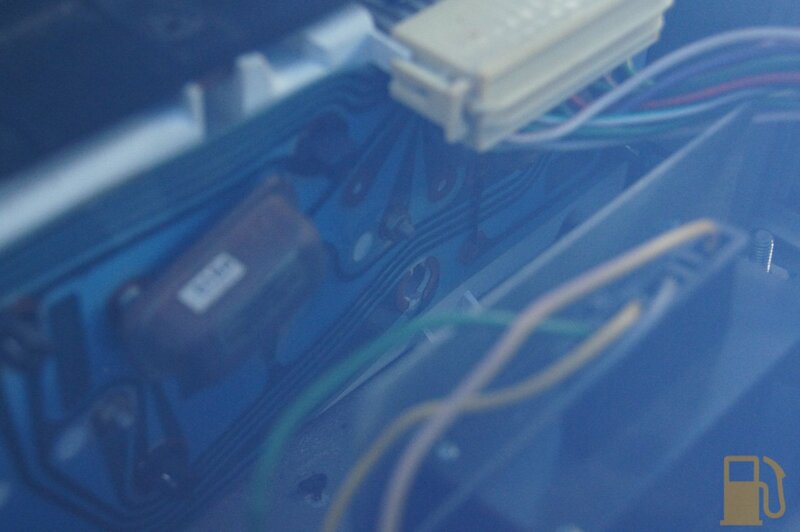 The first step to getting the switches out is to remove the dash binnacle top. This should be secured by a lone screw on the LH end…. my screw was missing. It then slides slightly to the left, and lifts off. Mine isn’t too warped, which I’m utterly stoked about. Once off I got access to all the wiring and electronics for the cluster. A couple of things stood out straight away. 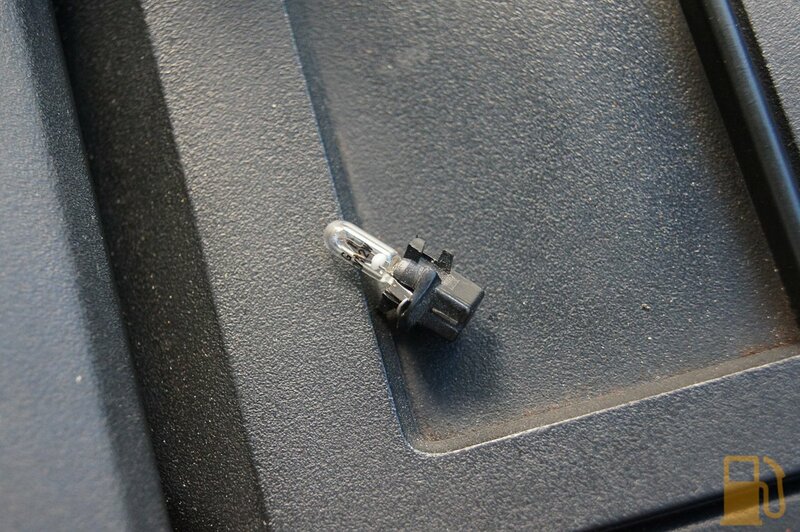 First was that there was a fair bit of dirt/dust on the connectors, and the warning light for the coolant level was missing its bulb. I pulled a spare bulb and holder from my spare cluster, and installed it. Now I have a working coolant level warning light. Handy! It was then time to remove the switches. They are a simple design, and to remove them it’s just brute force to push them out the front of the cluster housing, towards yourself. 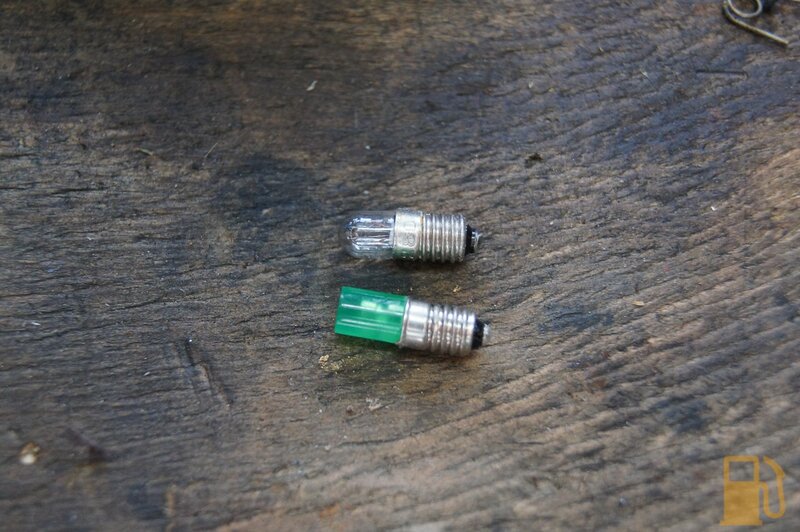 The connector for the rear fog lamp button is a prick to get at as there is limited space, and it has a locking tab on each side. With the switches out it was time to get to work on them. I started with the fog lamp button. Use a small screwdriver to dislodge the little tabs on each side, and remove the bottom casing. The reason it didn’t latch? 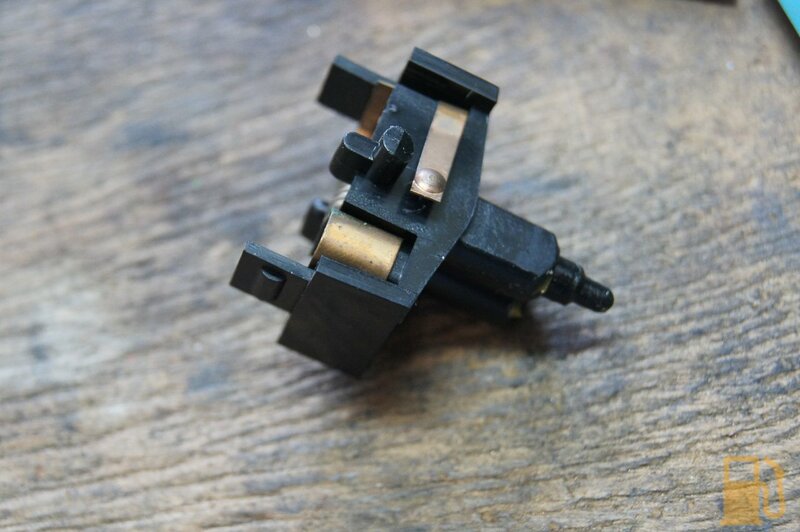 It uses a small spring-loaded pin moving in a little pattern to latch the button when pressed. 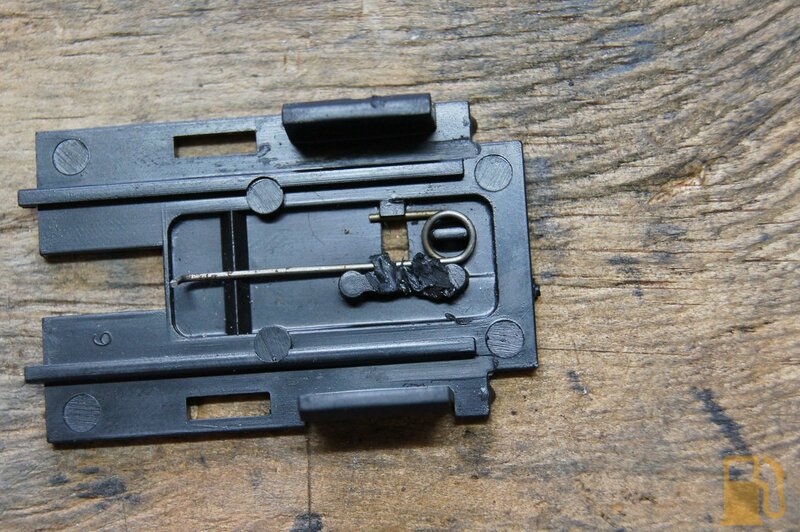 A common failure is for the spring to go awol, due to a small plastic tab breaking off. My tab was missing, and the spring pin was floating around inside the button. Then it was a matter of removing the little white block with the pattern on it (as this acts as a stopper for the sliding part of the button), removing the big spring, and sliding the inner part out. 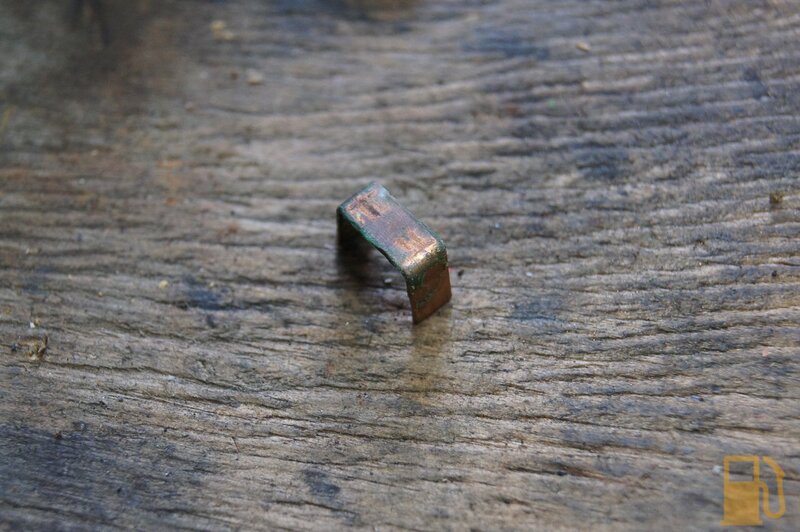 There is a tiny spring and metal contact inside that will come out, so take care not to lose them. The three metal contacts on the base, and the metal U-shaped contact were all filthy and showing signs of corrosion. I cleaned all of these with a small wire brush and contact cleaner, until they were bright again. I was going to try using LED in the switches, but mine were a couple of MM longer than the standard bulbs and I found it didn’t fit in the sunroof switch, so I reverted them back to bulbs. 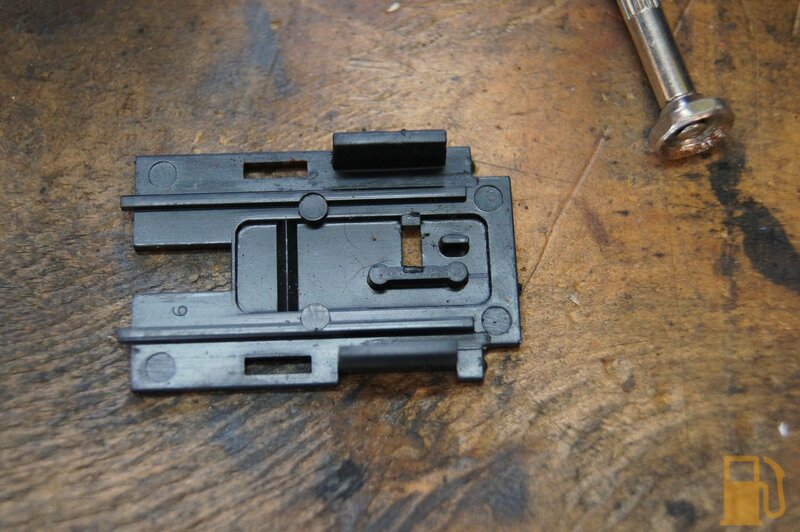 Dielectric grease was applied to the contacts, and the spring and contact were reassembled. The inner section was then gently slid into place, whilst using a small screwdriver to make sure the sprung contact clears everything OK. I then had to fix the reason I actually pulled the switch out…. the lack of latching. I used a blowtorch to heat up a small flat metal blade, and used that to melt the plastic over the spring pin, and hold it in place. Once that was done and cooled down, I reassembled it and the button now works as expected. I was a bit dubious that it would pass its warrant if the rear fogs didn’t stay on, so that is another tick on the sheet. 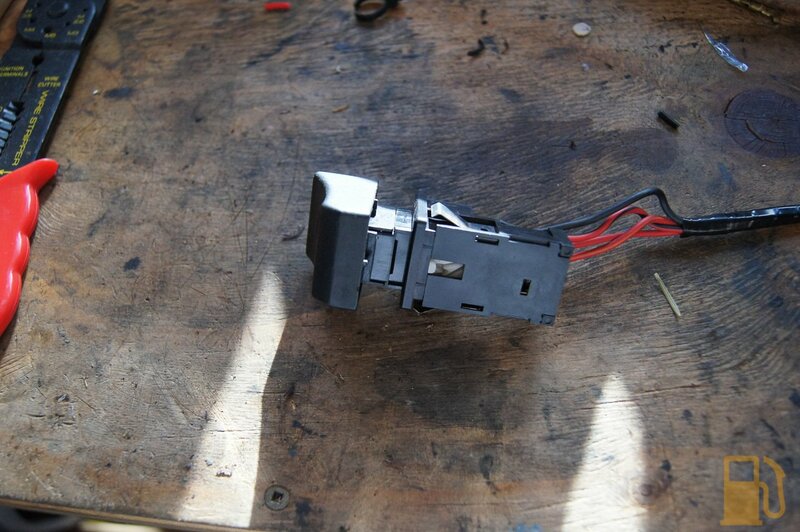 The sunroof switch is a bit of a weird one to disassemble, and doesn’t work anything like the fog button. First you remove the actual button cap, which just pulls off. The contacts were badly corroded, and there was even some pitting on the rocking contact strip. No wonder the switch didn’t work. I cleaned it all up, made them bright and clean again and applied dielectric grease to lubricate and help prevent corrosion. I reassembled it all, and sure enough the switch now works. Although, my sunroof motor is stuffed. When I got the car I knew the sunroof didn’t work, and some early investigations showed that there was pretty bad rust in the panel, and the seal retainers. The panel was also very stiff to move, and with the switch out of action I could only move it with the manual crank (which was slow), and even then it would only go so far before the cable starting making clicking noises and slipping. Clearly the sunroof wasnt maintained, as the rails were completely dry of any grease. This causes the panel to bind, and not slide back. As it turns out a previous owner must have tried to use the sunroof despite the lack of grease, and because the motor couldn’t move the panel it just stripped the teeth off the gear on the motor. I managed with some force, to get the sunroof panel to go back (which was awesome, can’t wait to have open sunroof driving in the sun), but then the motor got stuck on its missing teeth and I couldn’t close the damn thing. I was also on a very tight deadline as I had a Skype meeting to attend. I ended up unbolting the motor, removing the cables from the motor, and using brute force and lots of lubrication on the rails to get the panel to slide forward and close again. The panel seems to be moving a lot freer now, so once I have a replacement motor I’ll manually open the roof and apply more grease to the rails until it slides freely. I do have plans to replace the sunroof panel with one that isn’t full of rust (or fix mine), but as long as I can get it working, and it doesn’t leak, I’m happy. 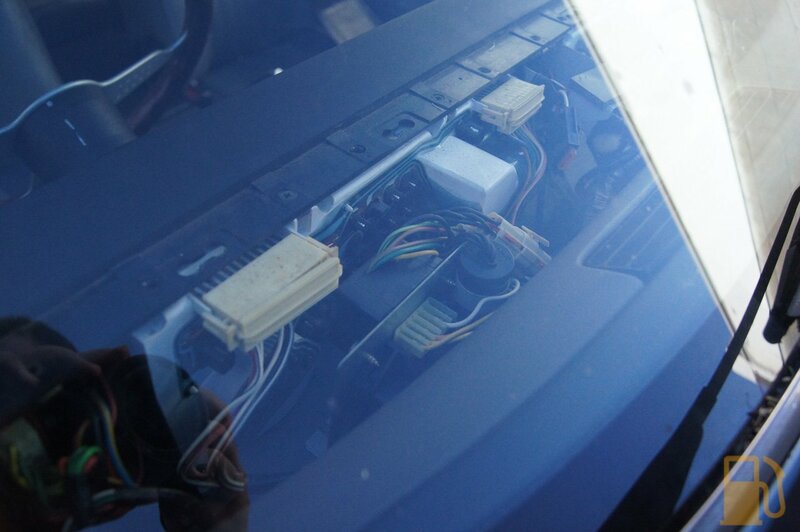 Unfortunately I ran out of time to reassemble the cluster, and tidy up the boot…. and remove the sunroof motor, so that will be tomorrows job after work. Next Post Rover SD1, It’s A Pass!